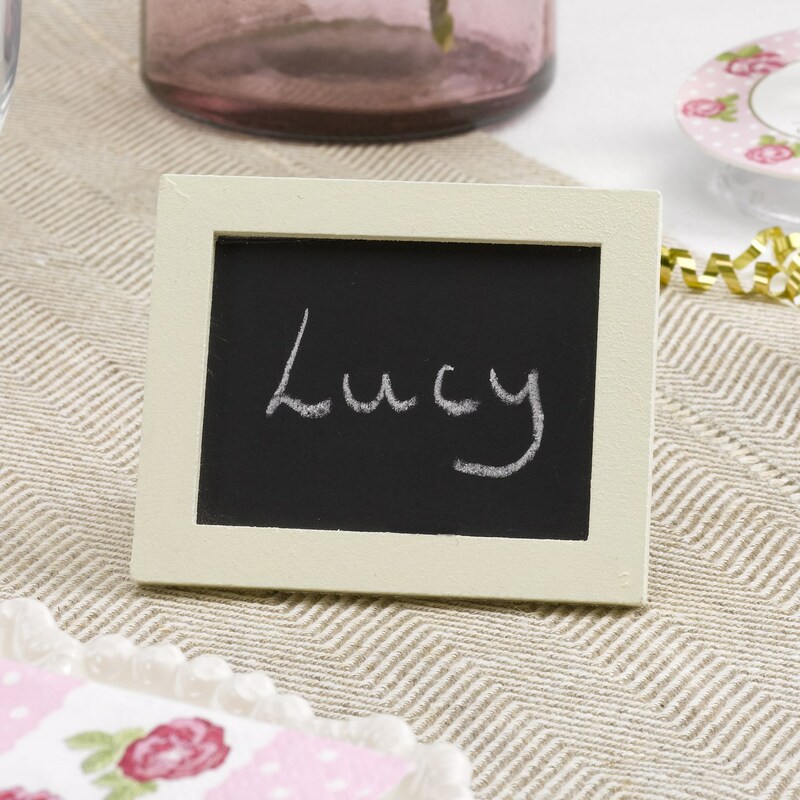 Part of the retro-styled Vintage Rose range, these charming ivory chalkboard place names provide an unusual way to decorate your party tables. Perfect for country-style weddings or other celebrations, these mini chalkboard signs provide an alternative to generic place names. Simply add each guest’s name in chalk for a simple yet stylish way to let your guests know where to sit. Each pack contains 5 Ivory Chalkboard Place Markers.